At the 10th Research, Innovation and Enterprise Council (RIEC) Meeting, chaired by Prime Minister (PM) Lee Hsien Loong, the progress made on the RIE2020 Plan on Friday was reviewed. RIE2020 was launched last year, with the government planning to invest SG$19 billion over 5 years. Announcements were made regarding the future in the four technology domains of the Plan- Advanced Manufacturing & Engineering (AME), Health & Biomedical Sciences (HBMS), Services & Digital Economy (SDE) and Urban Solutions & Sustainability (USS). Cutting-edge technologies will be explored, leveraging the capabilities built by earlier RIE investments. Read our reports on plans in the AME and SDE sectors here and in the USS sector here. In the HBMS area, the focus is on diabetes. Diabetes affects 400,000 Singapore residents (out of a population of around 5.6 million), and one in three Singaporeans is at risk of developing it over his/her lifetime. It is projected that one million Singaporeans (estimated by Saw Swee Hock School of Public Health, National University of Singapore) could develop diabetes by 2050. Singapore’s investments in diabetes research over the past decade have resulted in capabilities that will enable the development of better diagnostics and therapeutics. The Ministry of Health (MOH) declared War on Diabetes (WoD) in April 2016. 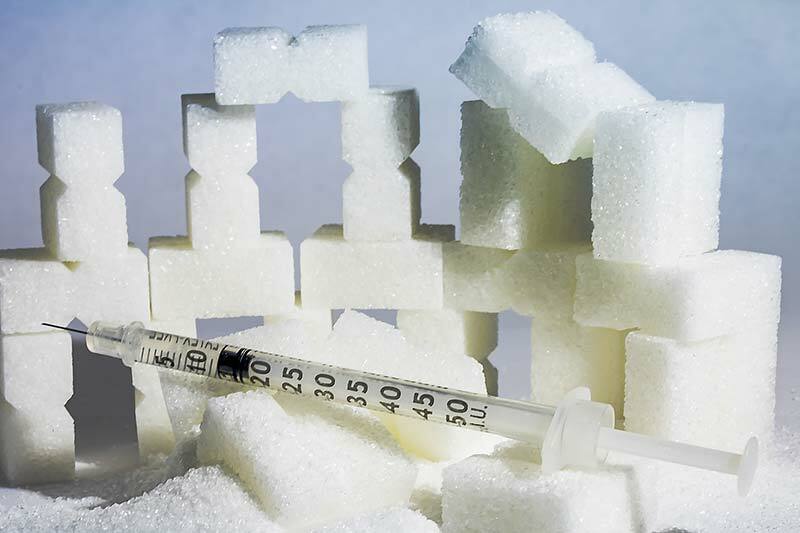 A Diabetes Prevention and Care Taskforce was set up to mobilise nationwide efforts. DYNAMO (Diabetes study on Nephropathy and other Microvascular complications) is the latest diabetes research programme funded by the Large Collaborative Grant scheme, drawn from the HBMS Open Fund, at close to $25 million over 5 years to support the WoD. Its aim is to determine the genes and processes in the development of kidney diseases caused by diabetes, so that diabetic patients at risk can be identified and treated earlier. It will also identify and validate new potential treatments for kidney complications from diabetes. New digital tools such as HealthHub and Diabetes Pal will empower diabetic patients to better manage their conditions. Health Hub is a one-stop portal and mobile application developed by the Health Promotion Board, which provides a range of health related content, e-services and incentives encouraging Singaporeans to stay healthy and enables Singaporeans to access some of their personal health information. Diabetes Pal is a mobile app that guides type 2 diabetic patients to administer insulin dosage based on their morning blood sugar reading. Patients enter their blood glucose data into the app. Based on his/her treatment plan, the app prompts him/her on the dosage of insulin injection to administer for optimum blood sugar levels. ​The app also generates graphs from the daily readings, so patients can see their progress in managing their diabetes. Doctors and nurses can remotely monitor the patient’s progress and hypoglycaemic (low blood glucose) episodes. They can quickly intervene and modify the treatment plan, or communicate with the patient over the phone. A trial conducted with Diabetes Pal showed that patients who used the app had more timely adjustments of insulin dose compared to those who did ot use the app, and helped them improve glucose control without significantly increasing their risk of having hypoglycaemic episodes. These digital tools have been developed by the Integrated Health Information Systems (IHiS) with the Public Health Institutions, and complement MOH’s Telehealth initiatives to better support diabetes control. From 1 September 2017, a Diabetes Risk Assessment (DRA) tool will be accessible on HealthHub to help Singaporeans assess their risk for undiagnosed diabetes and recommend if they should go for diabetes screening, helping them take a step towards proactive prevention of diabetes. HealthHub track, a personal health management app in HealthHub, also provides users with digital tools to monitor and manage their health conditions more conveniently. At the national-level, MOH is developing a consolidated National Diabetes Database (NDD), to support planning, monitoring, outreach and research. The NDD could also be used to support tailored care for patients. For example, knowing an individual’s risk profile for developing diabetes-related complications could facilitate the implementation of more targeted interventions. Set up in 2006, the RIEC provides strategic direction for national R&D. The RIEC comprises Cabinet Ministers and distinguished local and foreign members from the business, science and technology communities.